By the groundbreaking author of the award-winning Monster–a visionary who influenced and inspired a generation–this powerful and poignant short story collection celebrates African-American life in all its glory. On one block of 145th Street, things happen that don't happen anywhere else in the world. There's Big Joe who's throwing his own funeral while he's here to enjoy it, and everyone's invited. There's Kitty and Mack, two teens with a love story more real than anything they've ever known. There's the police shooting that sends unforgettable shockwaves down the block. 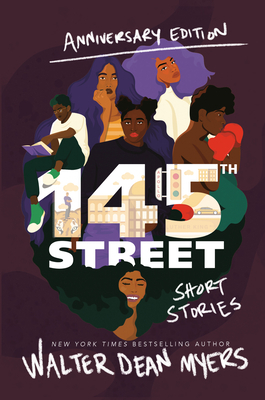 And that's just the beginning--everybody on the block has a story to tell in this short story collection about life on a Harlem street from master writer Walter Dean Myers. Walter Dean Myers’s fiction and nonfiction books have reached millions of young people. A prolific author of more than one hundred titles, he received every major award in the field of children’s literature. He wrote two Newbery Honor Books, eleven Coretta Scott King Award winners, three National Book Award finalists, and the winner of the first Michael L. Printz Award for Excellence in Young Adult Literature. He also received the Margaret A. Edwards Award for lifetime achievement in writing for young adults and was the first recipient of the Coretta Scott King–Virginia Hamilton Award for Lifetime Achievement. He was a 2010 United States nominee for the Hans Christian Andersen Award and was nominated for the Astrid Lindgren Award numerous times. From 2012 to 2013, he served as the National Ambassador for Young People’s Literature with the platform “Reading is not optional.” In his most-beloved books, Walter explored the themes of taking responsibility for your life and that everyone always gets a second chance.